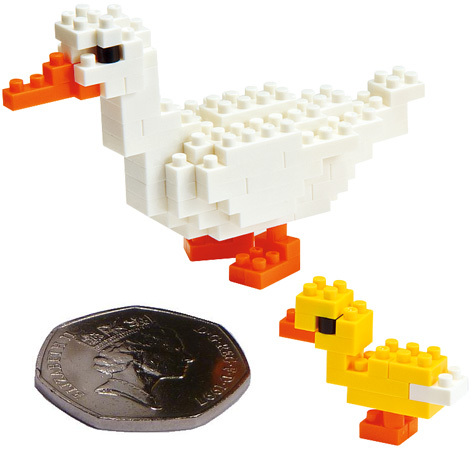 Described as the ‘next generation’ of construction toys, Nanoblocks allow the most intricate of model making with their unique, tiny-sized bricks. Coming in at about 1/8th the size of normal construction blocks, and with the smallest pieces being just 4x4x5 mms, children and their parents can create structures that contain a degree of detail never before seen in hobby bricks. With an ever-expanding range, Nanoblocks are perfect for hobbyists and collectors both young and old. They cover several different subject matters ranging from famous buildings like the Eiffel Tower or Castle Neuschwanstein, to objects like an electric guitar. Kids especially like the animal models such as the duck, parrot and panda. Moulded from high quality ABS plastic, Nanoblocks are made in a large number of vibrant colours with a clever ‘double ridged backing system’ that allows greater flexibility in model design. Each model is marked with a difficulty rating so that kids can work their way up from the starting sets.